More than 175 applications for admission to the Program are received each year, and 10 students, on average, matriculate. Applications for fall admission should be completed no later than December 1. The program does not offer spring or summer admission. All application materials need to be received by that date to ensure consideration, this includes letters of recommendation and transcripts. Applications are reviewed in December and selected applicants are invited to campus for an interview weekend in January or February. Final admission decisions are made by the end of March and in accordance with the Council of Graduate Schools national deadline, applicants have until April 15 to respond to an offer of admission. The Graduate Record Exam (GRE) is no longer required. Effective for the 2018-19 admissions season (those applying for the Fall 2019 NTP class), NTP no longer requires GRE scores, nor will the Admissions Committee use any GRE scores submitted as part of its review. Prospective students are encouraged to communicate directly with faculty of interest. Please see our faculty trainers page to find those you are interested in working with. The minimum course prerequisites are college-level courses in mathematics through calculus, and a year each of chemistry, physics, and biology. All of these prerequisites must be taken prior to entering graduate school-no exceptions will be made. Prior laboratory research experience, while not required, is strongly recommended. For questions regarding the admissions process, please contact the program office by phone 608-262-4932, or email ntp@mailplus.wisc.edu. The Graduate School’s minimum requirements for admission can be found at: at http://grad.wisc.edu/admissions/requirements/. Applications must be submitted electronically. Please consult the UW-Madison Graduate School web page for more information regarding electronic applications. The Neuroscience Training Program prepares students for careers in research and, therefore, it is important that applicants prepare a thoughtful statement of research interests and goals in addition to reasons for seeking graduate training in the Program. Strong applicants are able to demonstrate an understanding not only of research techniques and methods but also the importance and end goal of the research they are doing. The matching of students with potential research advisors is an important consideration in admissions decisions. If you have not completed the course prerequisites and plan to do so before matriculation, please include this information in your statement. This statement should be submitted with the electronic application. Transcripts must be uploaded in the online application from each institution that you have attended (undergraduate and graduate), even if no degree was received. Unofficial transcripts are accepted for the application process but upon acceptance to the program, official paper transcripts will be required. Note: International academic records must be in the original language accompanied by an official English translation. Do not send your transcripts to the UW-Madison Graduate School’s office — we will not receive them by the Dec. 1st deadline and your application will be incomplete. If you have trouble uploading transcripts in the system due to file size or other concerns, please contact us at ntp@mailplus.wisc.edu. Letters should be from persons familiar with an applicant’s academic and research abilities. Instructions for letters of recommendation are on the UW-Madison Graduate School web page. No late letters will be accepted. Track your application status on MyUW to see if letters of recommendation have been submitted. Send reminders, ask another person for a letter of recommendation, just make sure you have at least three letters submitted on your behalf by December 1st! The TOEFL is required for applicants who have not completed two semesters of college instruction in English or whose university’s official language of instruction was not English. On the TOEFL registration form, use code number 1846 for “Institution”. If TOEFL scores are not received by December 1st your application will not be reviewed. **According to ETS, score reports are sent electronically or mailed to recipients approximately 13 days after the test date. However, ETS has no control over mail delivery to various locations around the world. Allow 7-10 days after the mailing date for delivery in the United States, and 4-6 weeks for locations outside the United States. For information specific to your location, contact your postal service. A resume or CV is required and must be uploaded in the online application. UW-Madison charges a non-refundable $75 application fee that must be paid by credit card (Master Card or Visa) or debit/ATM card in the online application system. In addition to the $75 application fee, non U.S. citizens will be charged a $6.00 international document processing fee. Both fees will be processed during the submission of your application. There are also limited application fee grants available. 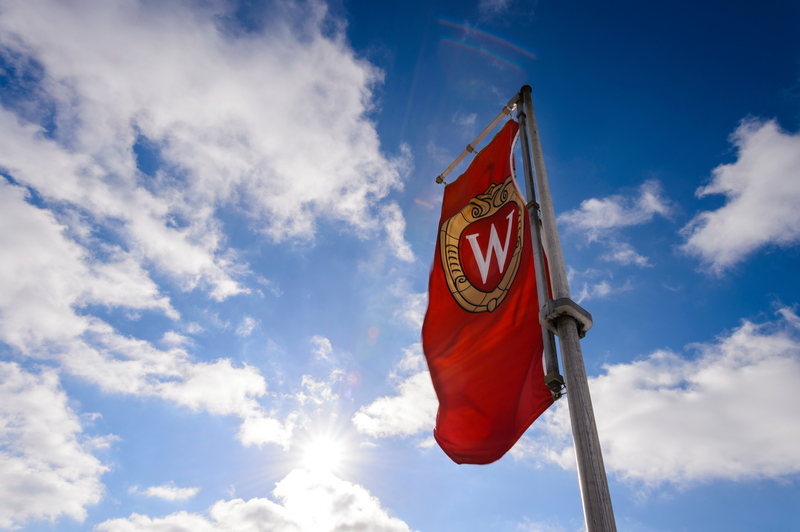 Check the UW-Madison Graduation Application Fee grants to see if you qualify. *Please note that fee grant applications must be submitted before your application and can take two weeks to process so you should plan to submit fee grant applications by November 15th.